Inspired by the kathy ireland Home Americana Style Guide, Mission Pasadena combines turn-of-the-century mission design with rustic simplicity. 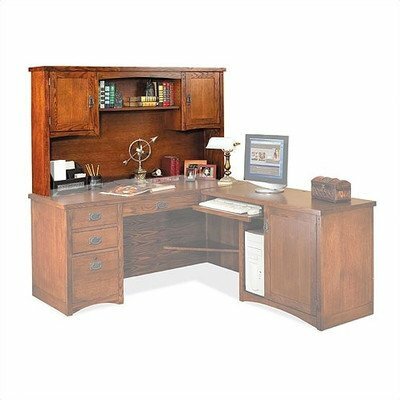 The glow of natural wood complemented by the mission-inspired, hand applied multi-step finish and decorative structures make this collection a comfortable addition to any office. The hutch includes one adjustable shelf behind each wood door and a fixed shelf in the center for additional storage. Ships fully assembled with 5 Year manufacturer warranty.